Frustration has been voiced at the slow progress in getting a new business park at Oban Airport off the ground. An aircraft crashed into a fence and ended up in bushes after the pilot tried to avoid a flock of birds on a runway. No scheduled flights will take place between Oban and the islands for at least six weeks from May 15. Lifeline flights from Oban Airport to the Argyll isles are in jeopardy, signalling “disaster” for fragile island communities. A light aircraft crashed as it attempted to take off at Oban Airport yesterday, nearly ending up in the water. Emergency services have been called to Oban Airport where an aircraft has crashed. 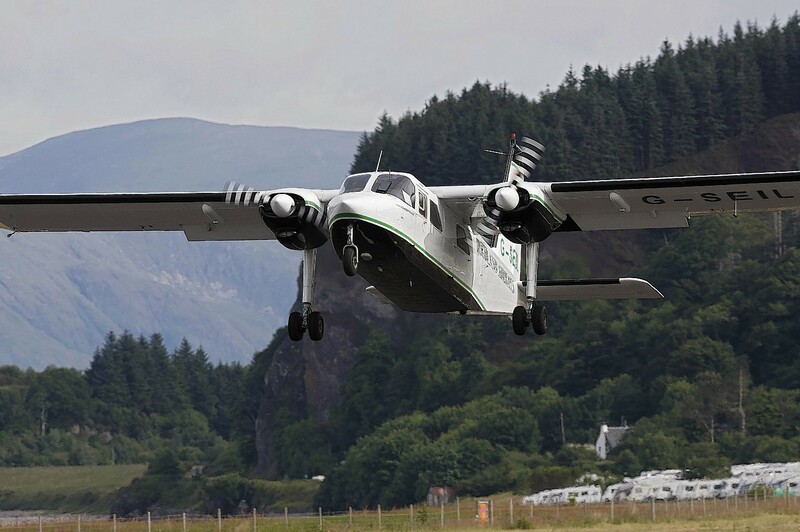 With an abundance of fairytale castles, sandy beaches and magical islands all within such a short distance of each other, Oban Airport has to be one of the best locations in the world to host scenic tours from the sky. 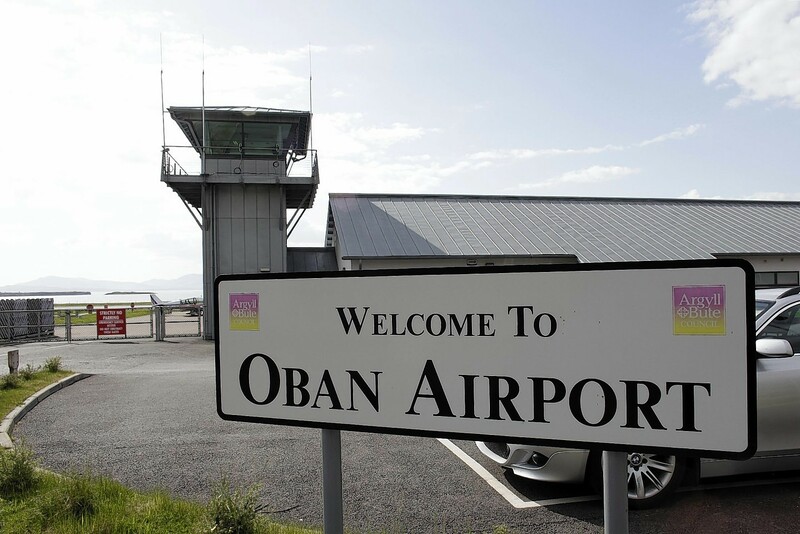 An investigation is underway after a light aircraft made an emergency landing at Oban Airport on Saturday after developing issues with its landing gear. A light-aircraft crash which killed two men who had just completed a charity climb of Ben Nevis was probably caused by poor visibility, an investigation has found. A council has been threatened with legal action over its proposals to sell its own aviation fuel at Oban Airport. The possibility of expanding the runway at Oban Airport and operating flights to the central belt is being explored. Two men who died in a plane crash on the Mull of Kintyre had just completed a charity climb of Ben Nevis, it has emerged. Air crash officials and police were last night investigating after two men who took off from a Highland airport died when their light aircraft plunged into the sea. Oban Lifeboat was called to three separate incidents in a day, at the same time as participating in a multi-agency exercise, on what turned into a hectic weekend. 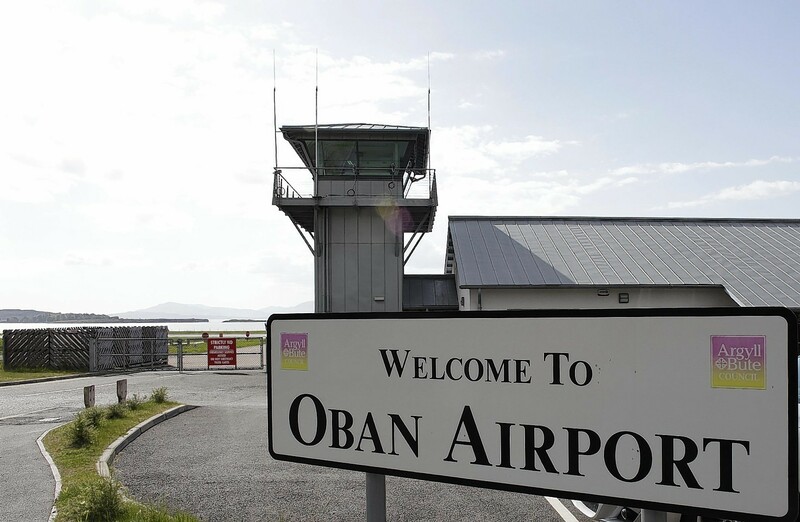 A controversial oil depot next to Oban Airport has been approved by councillors. A man and woman seriously injured when their plane crashed in Argyll remained in hospital in a "stable" condition yesterday. Cruising in the clouds looking down to the stunning rock formations of Fingal's Cave below, it is not difficult to understand the success of Argyll Air Services. Green-energy company Cella and the Argyll-based Scottish Association for Marine Science (SAMS) have together achieved what is thought to be the world’s first hydrogen-fuelled flight. The first of Argyll and Bute Council's £19million Lorn Arc regeneration projects is under way. Work will begin on a new business park at Oban Airport next month - with high value companies linked to the aviation industry given priority. Emergency services will be put to the test at Oban Airport on Saturday when a plane crash is staged. 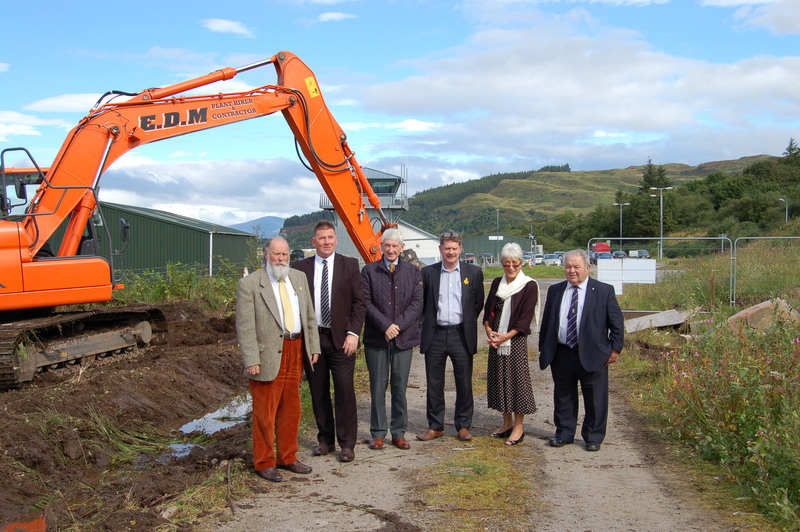 Work to improve access to Oban Airport and open up the business park to new opportunities should start in the autumn. A row between an airport operator and a fuel supplier is preventing emergency helicopters from re-fuelling at Oban at night. Expressions of interest are being sought from air companies keen to operate flights to the islands of Coll, Colonsay and Tiree.